Three months after the Hurricane Harvey made landfall, the Texas Coastal Bend is still far from back to normal. The Category 4 storm delivered winds of 130 miles-per-hour that battered Aransas County communities, and many residents there are still without housing. 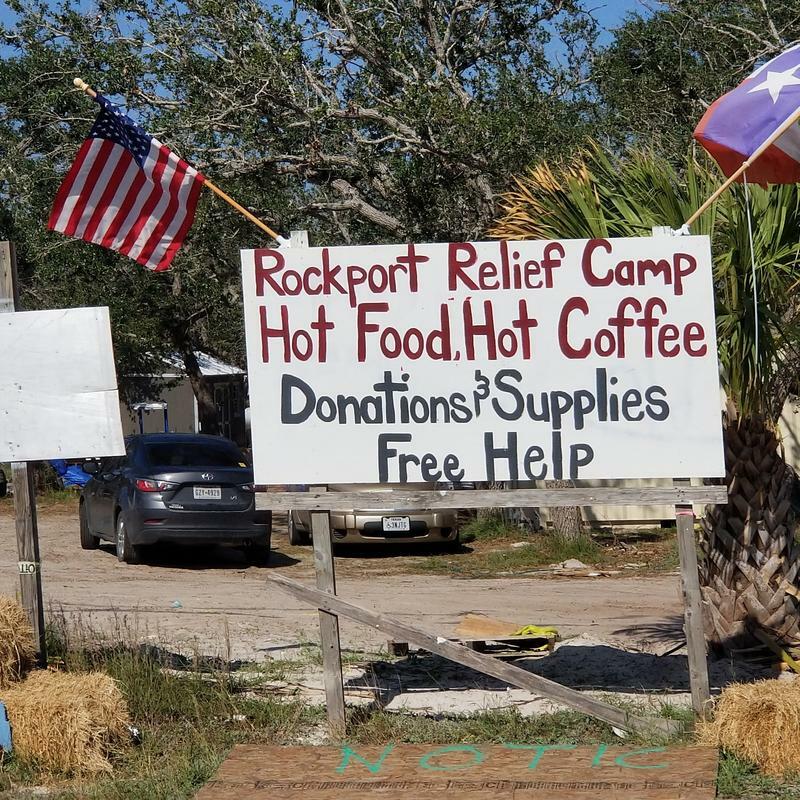 The Texas coastal towns of Rockport and Fulton shared all the destruction and misery Hurricane Harvey brought. They also share a boundary line, where you’ll find The Shack Seafood Restaurant and Barbeque Smokehouse. Harvey ripped off the eatery's roof. That repair work still needs some finishing touches, but the Shack is back open, customers are flowing in and they all seem to want to talk about one thing: the storm. Loretta Patterson, a waitress at the restaurant, shares her story as easily as pouring sweet tea. “We had a picket come through our house — a fence picket. Through the back – into my house – out the front. Like a missile. Lots of water damage,” said Patterson while swiping through images on her phone of her damaged home. Patrick Garza, the Shack’s owner, said for many hourly workers in the area, there was no point in staying put. “I lost four out of my kitchen. … Their apartments were destroyed and there’s nothing to rent. You can’t rent a place here,” he said. Sam McCrary owns the land where the tent city has popped up. “I used to have the absolutely gorgeous 3-1/2 acres covered in fantastic live oak and grass,” said Sam McCrary, owner of the property. She said it looks a lot different now. “Our décor is early mid-century junk yard,” she said. That’s because, after the storm, McCrary saw how people’s lives were “turned completely inside out, upside down and backwards,” she said. She hadn’t planned to set up a relief camp at her house but she realized somebody had to do something. “People had lost homes; they weren’t going to have a place to sleep. We knew that there were going to be people who weren’t going to have access to water or food – especially hot meals,” she said. Shoes were donated for Hurricane Harvey victims at the Rockport Relief Camp. For eight weeks, McCrary said she provided more than a thousand meals a day. “People started coming to get supplies: pick up tents and sleeping bags and cots. ... They were getting kicked off the beach. They couldn’t camp there. So we just decided to just pitch your tents out here in the front,” she said. McCrary said the population has dwindled to about 35, but was up to 80. Some guests are children who run around the camp, chasing chickens and riding bikes. But McCrary plans to fold the relief camp on Dec. 5. But go where? That’s the problem. It’s the one Maria Gomez faces too. “I lost everything. 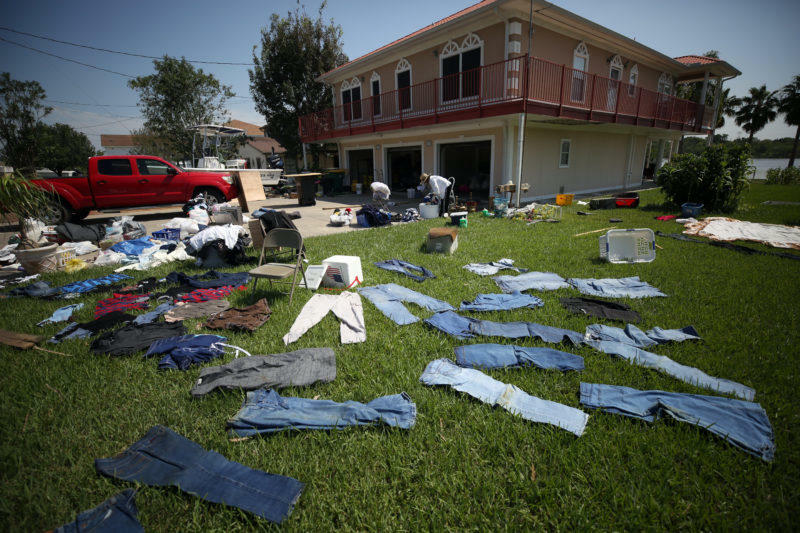 I lost my house and everything,” she said, after coming out of the Rockport (Federal Emergency Management Agency) Disaster Recovery Center. “I’m still at a FEMA hotel. I’m trying to find, I’m telling them, even a trailer or something. There’s nothing really out there. They gave me a list of potential apartments but they’re all full. And so it’s hard,” she said. More than 47,000 people are still homeless after Harvey and are living in hotels paid for with FEMA vouchers. On Monday FEMA announced they are extending those vouchers to Jan. 16. As we celebrate this holiday of being thankful, we would be remiss not to also think about those who are struggling. This week, we’ve featured stories of the hard time many of our fellow Texans are having rebuilding their homes and their lives after Hurricane Harvey. So how much damage did Harvey do to Texas homes? Hurricane Harvey hit the Texas coast on Aug. 25 and became the state’s most costly storm on record, causing almost $200 billion in damage. Houston bore the brunt of it and has received the most attention. But many frustrated residents of Aransas County say more help is needed. 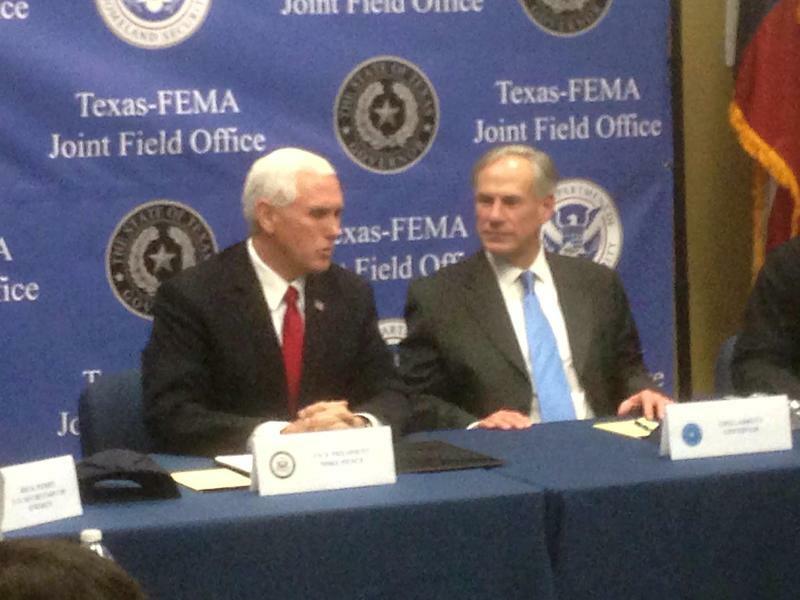 Vice President Mike Pence, on his second trip to Texas this month, praised Republican governors like Texas Gov. Greg Abbott for state initiatives that he said were the building blocks behind much of what the White House was trying to accomplish with tax and healthcare plans.